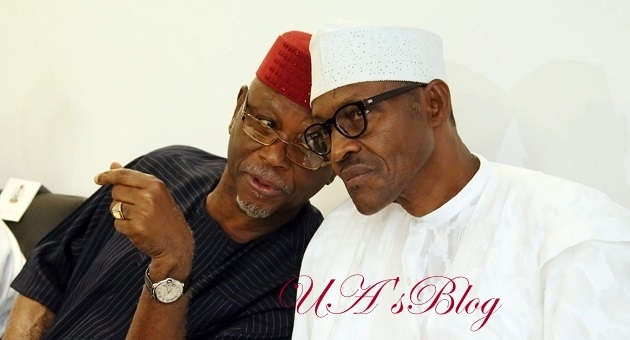 The APC Unity Forum, a faction of the ruling All Progressives Congress (APC), in Oyo State has petitioned President Muhammadu Buhari, National Chairman of the party, Chief John Oyegun and the National Working Committee of the party over the lingering crisis rocking the ruling party in the state. Oyo APC Unity Forum in its petition signed by its Secretary, Dr. Wasiu Olatunbosun and forwarded to the duo of Oyegun and Buhari and the NWC, a copy which was obtained by DAILY POST on Sunday while describing the wards, local and state congresses held by a faction of the party loyal to the state Governor as illegal, declared that the Unity Forum’s congresses was the only legal congress, with recognition of all the attendant prerequisites. The forum in the petition, copies of which were also sent to the Economic and Financial Crimes Commission (EFCC), Central Bank of Nigeria (CBN) and the Inspector General of Police urged Oyegun to declare the congresses held by the “Unity Forum of the APC-Oyo State, as the only legal congress, with recognition of all the attendant prerequisites”. Olatunbosun in the petition written on behalf of the forum, titled “Illegal conduct by Ajimobi faction, of a Purported APC ward congress in favour of persons who did not obtain nomination forms”, alleged that those in the Governor Abiola Ajimobi faction of APC in Oyo State should not be accorded “the status of lawful and proper contestants of the party at the ward and subsequent levels”. “Those in the Governor Abiola Ajimobi faction of APC in Oyo State should not be accorded “the status of lawful and proper contestants of the party at the ward and subsequent levels. “The Transfer Forms of Agodi Branch of First Bank which was presented as proof of payment for nomination forms for the ward congress was fake. “Governor Ajimobi loyalists only paid the nomination sum of N20.06million to the account of APC at the Agodi Branch of First Bank on Monday, May 7th. “Those that made the lodgment on May 7, 2018, paid, N4,200,000 each except two of them. Lodged the same amount of N4,200,000 twice same day bringing the total lodgment to N21,000,000:00, which is the same amount purportedly paid on May 4, 2018, for the same purpose. The Forum then urged leaders of the party not to recognise the said purported contestants loyal to the Governor and not to accord them any benefit that may be attached to the status of lawful and proper contestants of the party at the wards, local and state levels.